The Dallas Rugby Club was formed in 1968 and competes Nationally in Divisions 1, 2 and 3 of USA Rugby’s Senior Men’s Competition. Dallas RFC has 90-100 active players per season, and an active alumni and fan base of over 400, all of which receive the Club’s weekly e-newsletter. The Club maintains a website, a Facebook page, a Twitter account, a YouTube channel, and UStream channel. The Club is also a 501(c)(3) private foundation. For additional information on sponsoring the club, please contact club Sponsor Coordinator, Dan Drabinski using the contact form below. Swinglift USA has provided storage container sales and storage container rentals in Dallas and the greater Fort Worth area since 2000. 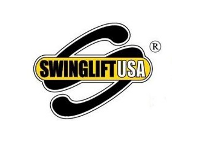 Along with serving top notch storage container service in Dallas, Swinglift USA also serves the outlining cities of Arlington, Irving, Plano, Denton, McKinney, and Fort Worth. Swinglift USA has made a name for ourselves in the greater Dallas/Fort Worth area over the years because we are the best at storage container transporting. If your fully loaded storage container needs transporting anywhere in the greater Dallas/Fort Worth area, our patented Swinglift can help you transport your container. The proud sponsors below are our elite members of the Dallas Rugby Club. DRFC truly appreciates these sponsors and can attribute a great portion of our success to their support. MosquitoNix is the national leader in mosquito control and mosquito misting systems. Since 2003, residential and commercial properties have entrusted MosquitoNix® with providing quality mosquito control solutions, exceptional customer service, and competitive pricing. With thousands of satisfied customers within the United States and globally, MosquitoNix® guarantees the delivery of effective mosquito control for your property. Glast, Phillips & Murray are a full-service law firm that has the power, abilities and technology depth of a large firm, while we offer the personal service and rates of a smaller firm. Since 1992, GPM has been dedicated to the goal of building a lean and efficient law firm that offers a full range of legal services to clients. Our attorneys are among the most accomplished in the business. Their passion for excellence and professionalism has fueled the success of this firm. We proudly serve our clients faster and more cost effectively. Unlike many firms that use large teams of fresh-out-of-law school lawyers or junior lawyers, we use small teams of experienced lawyers to serve our clients more efficiently. Mr. Drabinski’s primary objective is to help you achieve financial freedom in a complex and constantly changing world by recommending products that can help you achieve what is most important to you. Mr. Drabinski is supported by a team of professional staff with many years of combined experience in financial and retirement services, estate planning, annuities, charitable giving, business insurance, executive compensation and employee benefits. Dr. Andrew Dold is a fellowship-trained orthopedic surgeon who specializes in arthroscopic procedures of the hip, knee, and shoulder. He has been in practice in the Dallas, Texas area since 2016 and is the director of sports medicine at Star Orthopedics and Sports Medicine based in Frisco, Texas. He treats a variety of sports medicine conditions, with expertise performing minimally invasive, joint preserving procedures. Dr. Dold is widely considered an expert in biologic treatments including platelet-rich plasma (PRP) and stem cell therapies for the management of cartilage and other musculoskeletal sports-related injuries. Dr. Dold completed his medical school at Trinity College, University of Dublin in Ireland. He then completed his orthopedic surgery residency training at the University of Toronto in Canada. After residency, Dr. Dold completed a fellowship in orthopedic sports medicine and arthroscopy at New York University’s Langone Medical Center and the Hospital for Joint Diseases. Dr. Dold’s research interests have included platelet-rich plasma (PRP) and stem cell therapy for arthritis and cartilage injuries, hip arthroscopy, labral reconstruction of the shoulder, meniscal repair of the knee, and anterior cruciate ligament (ACL) reconstruction of the knee. He has published numerous book chapters and scientific papers in peer‐reviewed journals including American Journal of Sports Medicine (AJSM), Clinical Orthopaedics and Related Research (CORR), Knee Surgery, Sports Traumatology, and Arthroscopy (KSSTA), Clinical Journal of Sports Medicine, Journal of Arthroscopy, and The Journal of the American Academy of Orthopaedic Surgeons (JAAOS). His research has been presented at numerous regional, national, and international conferences. He continues to serve as a lead author and editor for OrthoBullets.com. Dr. Dold has served as team physician and surgical consultant for both the men’s and women’s Canadian Rugby Teams, the Mississauga Steelheads of the Ontario Hockey League, and the NFL Scouting Combine in Indianapolis. He is currently the head team physician for Reedy High School and the Dallas Reds Rugby Football Club. He is the medical director and director of research at the Gatorade Sports Science Institute (GSSI) at Baylor Sports Therapy & Research Center at The Star. He has received a number of prestigious awards and honors, including a Top Doctor Award from the International Association of Orthopedic Surgeons in 2017 and a Rising Star Award from SuperDoctors in 2018. He was named to the Top 40 Under 40 list by USA Top 100 Magazine in 2018. Dr. Dold was born in Cape Town, South Africa, but moved to Canada (Oakville, Ontario) when Dr. Dold was 8 years old. He grew up playing junior, age-grade rugby for my local club team, the Oakville Crusaders. He represented my Province (Ontario) in the national competitions at the U18, U21, U23, and Men’s Levels and was selected to the Canadian Men’s National U21 team in 2001. Dr. Dold played rugby throughout university at The University of Western Ontario (UWO Mustangs) (undergrad) – and was captain of the team for his final two years. He also won a number of awards while at Western including: Rookie of the Year, Best Back of the Year, and MVP, including being the Ontario University Athletics (OUA) All-Star for 3 years while at Western. In 2004, Dr. Dold won the Athlete of the Year award (Purple Blanket Award) for the university. Attending Trinity College, University of Dublin in Ireland from 2005 to 2010 for medical school, Dr. Dold represented the university’s First XV (DUFC) and also played for the university golf team and was captain for two seasons. Dr. Dold played in the Canadian Men’s Amateur Championship for golf in 2006 and 2007. Related successes include having been the team physician and surgical consultant for both the Men’s and Women’s Canadian National Rugby Teams. DRFC Thanks Our Sponsors and encourages all to choose to conduct your business with the good friends and supporters of Dallas RFC. If you support our sponsors, they will continue to support us. Please check out our sponsors’ websites and recommend to your friends. Car accidents. If you or someone you know have been in a car accident have them call Dr. Kelly immediately. Don’t be victimized by insurance companies. Dr. Kelly will assist and guide you through the insurance maze and get you out of pain and healthy again. Not only will she put you on the path to pain free health, she can use her expansive professional network to assist in determining if you need legal advice, the best way to collect insurance and pay for medical bills, to even finding an honest mechanic to repair damage to your car. As a Life University graduate, Dr. Kelly has been dealing with traumatic sports injuries for a very long time. As with car accidents, rugby involves high impact collisions. She can use her expertise and vast experience to rehab rugby injuries, reducing pain, swelling, and speed up the healing process to get you back on the pitch as quickly as possible. Chiropractic is often used to improve muscle and joint conditioning, which has a direct effect on an athletic performance. Treatment works to improve biomechanical function and enhance overall conditioning, important in situations where there is continuous repetitive movement. Chiropractic care also helps athletes fine-tune their muscles and joints for high level performance, and may reduce long term wear and tear. As your personal agent, Mr. Dehart believes in keeping you informed and aware of insurance products. It is his mission to help you develop the right plans to meet your insurance needs. Through dedication, knowledge and a tireless work ethic, he is the agent that his customers want to send their friends and families to. He strives to protect his clients’ assets. The road to your new home starts here. Michael looks forward to helping you every step of the way! He can assist in buying, selling and leasing homes, building new homes and investment properties. At Movement, we exist to love and value people by leading a Movement of Change in our Industry, Corporate Cultures and Communities. Movement Mortgage was created in 2008 amidst one of the biggest financial meltdowns in American history. We are committed to being a Movement of Change in the mortgage industry, in corporate cultures and in communities. Through our unique process we are creating a referable experience for both home-buyers and real estate agents. We have created a corporate culture in which our employees can thrive both personally and professionally. We achieve this when we combine a passionate and relentless hard focus on professional excellence with a high view and value of people. Finally, our goal is to have a long-term impact on the individual lives of those under-served in our communities. Our mission to love and value people drives everything we do. Don Barker, Sr, CPA and Don Barker, Jr, CPA, practice together in Plano, Texas focusing on business & personal tax, consulting and assurance services. At Donald R. Barker, CPA, we strive every day to exceed our clients’ expectations on every project. Whether the project is tax, consulting or assurance our goal is to give each of our clients excellence in quality, service and overall value. Whether you are buying a home, leasing an office, or investing in a property, we understand that buying, selling, & leasing real estate is more than just a transaction: it’s a life-changing experience. That’s why our team of highly-seasoned real estate professionals is dedicated to providing exceptional, personalized service for all of our clients. We take great pride in the relationships we build and always work relentlessly on the client’s behalf to help them achieve their real estate goals. Learn Effective Skills – Bak Fu Pai is a system of marital forms, exercises, meditations, and medicines from southern China. Bak Fu Pai, which translates roughly to White Tiger Kung Fu, is also known as the Emperor’s Art. The dedicated practitioners healed, advised, and protected 6 generations of Chinese Emperors. The system has remained a closely guarded secret of the Doo family for almost 400 years. The system was so secretive, and so widely revered, that it was said that “The only time someone saw the White Tiger system was immediately before death.” Considered lost in the early 1800’s. the system remains one of the most secretive, mysterious, and powerful systems in the world today. The system has been kept meticulously preserved over the last 4 centuries, and remains the exact same system Fong Doe Duk created in the 17th century. This system, in its complete form, is now being made available to the public through the generosity of Grand Master Doo Wai. At Giant Lakeside we serve all cyclists around the DFW Airport area, including the communities of Grapevine, Flower Mound, and Coppell. Our store is very convenient to the trailhead for the Northshore Trail, too – we’re the only bicycle shop in Dallas/Fort Worth that can offer that! We’re proud to be among the first businesses to locate in The Shops at Lakeside and we’re proud to be Giant’s first brand store in the Dallas/Fort Worth market. Giant is the world’s leading brand of high quality bicycles and cycling gear. Since 1972, Giant has combined craftsmanship, technology and innovative design to create the ultimate cycling experience for all riders, casual to competitive.